Will I have to go for an interview at the embassy? Do I need a visa for the UK or other countries? Can your office go to the embassy on my behalf? Can I come to live permanently in the UK? Can my children accompany me to, or join me in the UK or my chosen country? Why do I have to wait for an interview date? How do I sponsor an application? Do I need to send my visitor a sponsorship form? What if I’ve been refused before, can I re-apply or apply to another country? Why do I need your offices assistance? Q: Where can I apply for a visa? 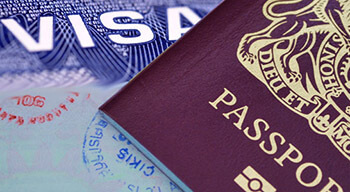 A: Applications for any type of visa to any country can be made through our immigration office in Pattaya. Q: Do I have to apply for my visa in person? A: You can apply in a number of ways, but the most efficient is by contacting our office and requesting our staff apply for you. Q: What documents do I need to provide to make my application? A: There is no set list of documents which should be provided as this varies from embassy to embassy and it depends on what type of visa you are applying for. Q: Will I have to go for an interview at the embassy? A: Not always. With certain applications the applicant may be called for an interview. It always depends on which country you are applying for. Contact our office for more accurate information. Q: Do I need a visa for the UK or other countries? A: Yes if you are a Thai national. 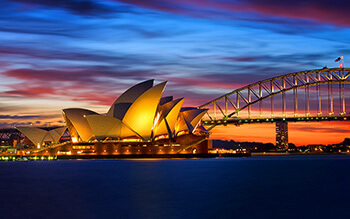 There are only a few Asian countries that you can visit without a visa. 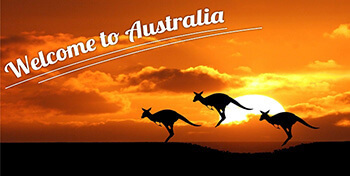 The remainder you must obtain an entry clearance visa. Q: Can your office go to the embassy on my behalf? A: Most embassies now require you to attend in person. If you request that our company assist you with the application then my staff will take you and do everything for you â€¦no need to worry. Q: What if I don’t understand English? A:Our skilled staff will take care of everything and guide you through each step of the way. Q: Can I come to live permanently in the UK? 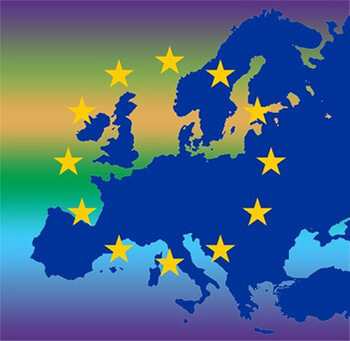 A: If you are not a British, European Economic Area (EEA), and you wish to settle permanently in the UK, you must qualify under the Immigration Rules and must obtain an entry clearance before you travel to the UK. 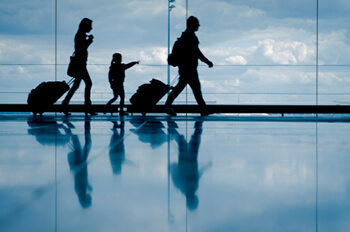 Q: Can my children accompany me to, or join me in the UK or my chosen country? A: The rules concerning children are quite complicated, but in many cases we are equipped with the knowledge to assist you. Contact our office for further information. A: Fees are payable at the visa office to which you will apply, usually in local currency. Fees vary from embassy to embassy. A fee is charged to pay for the cost of processing your application. The fee is paid directly to the embassy. 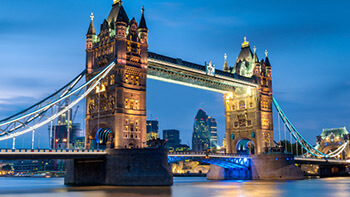 Q: How long does it take to get a UK visa? A: How long it takes depends on what type of visa you are applying for and to what country. An example would be tourist visa to the UK, you could have an answer in up to 1 months after you lodge the application. And approximately 3 months for a UK settlement visa. This also can vary, dependant upon your documentation. All countries have different regulations and time scales. Call at our office and discus your situation with our experiences staff. Q: Why do I have to wait for an interview date? A: When an entry clearance officer cannot make a decision about issuing you a visa immediately, you may be asked to attend for an interview. This can sometimes be a long time, depending on where and when you apply. Always try to make your application well in advance of your intended travel date. A:Not always. Certain applications, the applicant may be called for an interview.More often than not our office staff can go and face the question on your behalf thus relieving any anxiety. Q: Can I work in the UK? A: Thai people are not allowed to work in the UK or other countries without a work permit or if you are married to a British national in most cases you are allowed to work. Q: Can I study in the UK? 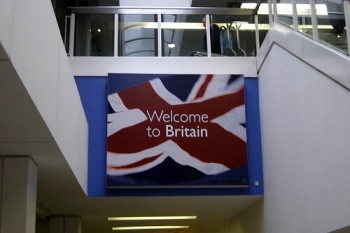 A: The UK and most other western countries welcomes overseas nationals who wish to study.For more information on how to apply for a visa contact our immigration center. Q: How do I sponsor an application? A:If you wish to sponsor a visitor coming to the UK or other countries, the requirements vary from country to country and also, what type of visa you are applying for. For further information please contact us. Q: Do I need to send my visitor a sponsorship form? A: You do not need to obtain a ‘sponsorship declaration’ from a solicitor or Commissioner . You will need to supply certain information about yourself to satisfy the embassy. A: The entry clearance visa will show the date from which it is valid. This is usually the date that it is issued. However, if you do not plan to travel immediately, you can ask for the start date to be deferred by up to three months. You must tell the entry clearance officer this when you make your application. Visa’s are usually valid for 1 -6 months for visitors. And indefinite stay for spouses and children. Q: What if I’ve been refused a visa to a foreign country, can I re-apply or apply to another country? A:Yes. But this is where you need professional immigration advice as you can be on very delicate ground. In some cases we can get the refusal overturned. Call us and we’ll secure the visa for you. Q: Why do I need your offices assistance? A: You are more than welcome to apply for the visa yourself. However, should things not work out for you, you will have no redress at the embassy and they will ask you to start over and re-apply again. How would you know if you are doing it correctly the next time?. And the next time ect….! In the meantime your wife , girlfriend or other is sitting waiting and waiting and relationships drift apart. Why would you choose to ‘take a chance’ and NOT get professional help.